Those who turn to spiritual classics for guidance and inspiration often find their style daunting. The original texts still have much to offer but their diction and idiom, chosen for another era and audience, pose an obstacle to many contemporary readers. 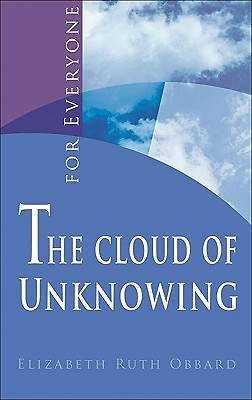 The Cloud of Unknowing for Everyone is the latest in a series that aims to make some of the greatest Christian teachers accessible to all. The Cloud of Unknowing, written by an unknown fourteenth century author, points out that all we can know of God is slight; God in Godself is unknowable to our limited intellect and thought. Only love can bridge the gap, love like an arrow of longing simple, straightforward and direct. All who feel called to a life of prayer will be captivated by the balanced, precise and practical insights of The Cloud. In her retelling of this classic, Obbard invites contemporary readers to join previous generations who have discovered the riches of this classic text.